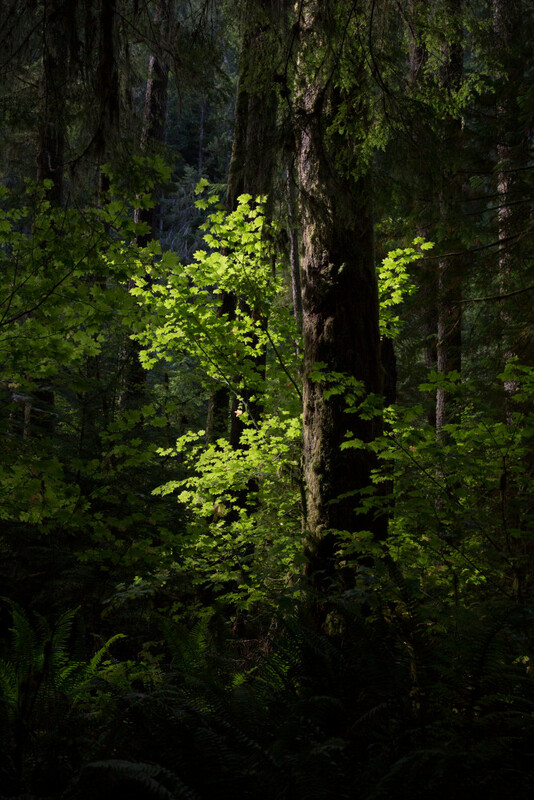 A shaft of sunlight illuminates a single tree among an entire forest. Photography is all about light. In one rare moment, a single shaft of sunlight gave a small tree within a large forest a chance to "solo" before an appreciative audience of one (originally) and now many more. I hope you enjoy this image as much as I do.